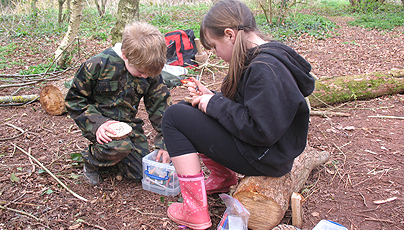 The Forest School approach to learning in the outdoors is rooted firmly in the key progressive education theorists of the past one hundred and fifty years - from Froebel to Steiner, Vygotsky to Montessori, Dewey to Gardner – all of them put the child at the centre of their own learning; all talk of the importance of children being allowed to explore the world with appropriate support. Interestingly, many were themselves significantly influenced by the great outdoors. Forest School encourages children to explore their own innate learning in the richest classroom we have – the outdoors. The Forest School ethos focuses on an approach to learning that maximises the emotional, social and developmental benefits of education. Forest School works with children and young people in the outdoors over a period of time, working with a higher than normal staffing ratio, introducing responsible risk-taking and setting participants up to achieve. Forest School is run by a qualified Forest Leader (level 3), together with other staff who are well versed in the Forest School process.